There’s that ONE day that you get THE phone call. You know the one? If YOU had a crystal ball that showed YOUR RISK of having a heart attack, stroke or some other chronic disease, would you look in it? 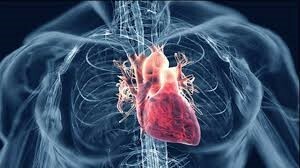 Heart disease is the leading cause of death for men and women in the U.S.
Other heart conditions, such as those that affect your heart’s muscle, valves or rhythm, also are considered forms of heart disease. 1) The more you weigh adds more wear and tear on your body, including your heart. A BMI is over 30 increases your heart risk by 10 fold. 2) Diabetes, pre-diabetes, insulin resistance & metabolic syndrome are results of poor lifestyle choices. A diet high in sugar and carbs are a causative factor in heart disease. KNOW THESE NUMBERS: HgA1C, glucose, and insulin. 3) Know your cholesterol numbers. Only what gets measured gets managed. There is much more than just total cholesterol that you should be testing. 4) Address High Blood Pressure, as this is the true silent killer. Lifestyle changes can help lower blood pressure and your risk factors as well. 5) Stop smoking! Smoking raises blood pressure & damages the artery lining. 6) Change your salt. White table salt has been processed & contain additives like MSG. Too much sodium, specifically in the form of white iodized table salt, can trigger weight gain and high blood pressure. Switch to Pink Himalayan or Grey Celtic salt. These forms contain minerals necessary for proper health & a much healthier way to consume salt without the health risks. WHAT IF IT’S GENETIC OR I HAVE A FAMILY HISTORY OF CVD? According to Harvard Medical School: Genetic factors likely play some role in high blood pressure, heart disease, and other related conditions. However, it is also likely that people with a family history of heart disease share common environments and other potential lifestyle factors that increase their risk. “Some people think that there is not much you can do about your heart attack risk, especially if heart disease runs in your family. They are wrong; I like to say just because you have a loaded gun, it doesn’t mean you have to pull the trigger. Having a family history of heart disease is the loaded gun and your lifestyle is the trigger. You have a choice of whether or not you want to set off that gun. -Dr Misty Senz, D.C., N.D.
PREVENTION is the KEY. KNOW YOUR NUMBERS. TAKE ACTION. In our office we can help you prevent or lower your risk of having a heart attack or other cardiovascular conditions. Are you ready to get started? Contact our chiropractic care center today! We offer a new patient special for $47 (a $325 value) , which includes a full health history, consultation, complete health examination, all necessary X-rays and a report of findings. *Offer excludes: workers’ comp, personal injury, Medicare and Medicaid. We do not participate with workers’ comp, Medicare, and Medicaid. *Disclaimer: Family Chiropractic’s videos and posts are for information only. The contents of the videos and posts, such as graphics, images, text, quoted information and all other materials(‘content”) are provided for reference only, do not claim to be complete or exhaustive or to be applicable to any particular individuals medical condition. Users should always consult with a qualified and licensed physician or other medical care provider. Users are warned to follow the advice of their physicians without delay regardless of anything seen or read in these videoa or posts. Family chiropractic assumes no duty to correct or update the content nor to resolve or clarify any inconsistent information that may be a part of the content. Reliance on any content is solely at the users risk. Publication of information or reference in the videos/posts to specific sources such as specific products, procedures, physicians, treatments, or diagnoses are for information only and are not endorsements of Family Chiropractic.